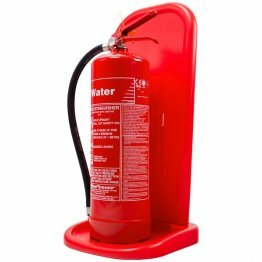 Our 6 litre water spray fire extinguisher is an ecologically friendly extinguisher because it contains no additives or foam. But, unlike a standard water extinguisher that has a jet nozzle, this uses a special spray nozzle that, if accidentally sprayed onto live electrics, will not harm the user (it is not designed for use on electrical fires; this is purely a safety feature). 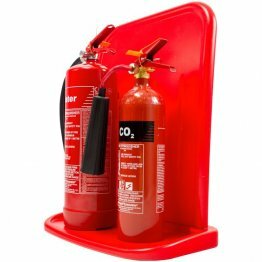 As a guide for Fire Regulations, premises require one 13A rated extinguisher per 2000 sq ft or 200 sq m per floor and the water extinguisher has this rating. The higher the rating the better.